North and South Carolina have Pedro and South of the Border. New Jersey, New York and Pennsylvania have a cemetery. Well, kind of. 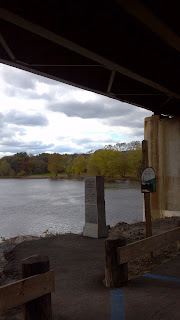 A few weeks ago, intrepid Hidden New Jersey reader Craig Walenta contacted us to share the location of the marker that shows the point where the boundaries of the three states converge, at the confluence of the Delaware and Neversink Rivers. Naturally, we were intrigued. Longtime readers are aware of our interest in boundaries, whether they be the ones that separate East and West Jerseys, or the several disputes over our northern border with New York. Considering that of the 487 mile borderline of New Jersey, only 48 miles is on land, the state has had a remarkable amount of squabbling with our northern neighbor about acreage. (Click on the "NJ/NY border dispute" tag by the timestamp on this entry to get to a few of the stories we've written on this.) The battle over Ellis Island became so contentious that the U.S. Supreme Court was compelled to settle the longstanding disagreement, and that's actually a Federal property! Every fight is worth it: being the fourth smallest state in the Union in terms of land mass, we can use all the acreage we can get. Ivan and I agreed we'd investigate the northwestern marker next time we were near Montague, and luckily we found ourselves at Sunrise Mountain in Stokes State Forest this past weekend. We were in pursuit of a golden eagle or two; they're not incredibly easy to find in New Jersey, so the best bet is often to head to a hawk watching site at the right time of the fall, and wait. After about 90 minutes of vultures and other assorted raptors, we were pretty well assured there'd be no goldens flying by in the near future. That's when I remembered the boundary marker. We were in the neighborhood; why not stop by? Craig warned us that unless we wanted to take a swim, we'd have to dip into New York State to get to the destination. That, to me, made it all the more interesting. The directions were basic enough: cross into Port Jervis from Montague, make a left, cross a bridge and head into a cemetery. We soon found ourselves passing through the gates of Laurel Grove Cemetery and admiring many 19th century gravestones. 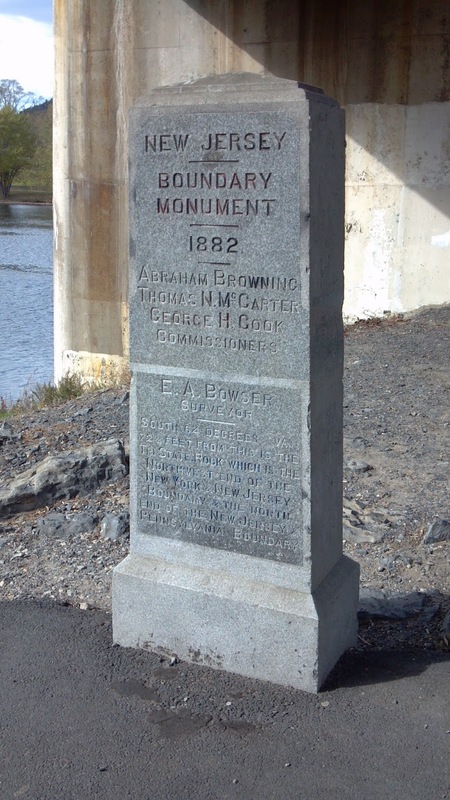 How would we know a boundary marker from all of these other granite monuments? Then, looming before us, high above, we saw two broad highway overpasses. Craig had helpfully noted that Interstate 84 skirts just north of the border between New Jersey and New York, never actually touching the Garden State. We saw a small parking area and a rectangular granite marker. This had to be the place. I jumped out of the car to inspect the stone. Yup, this is it. As if that wasn't enough, the visit got even better. A half mile or so up the cemetery road, our path back into Port Jervis was blocked by a small truck, a handful of people and a dog. One of the people walked over and told us an eagle was in a tree not 20 feet away, overlooking the Delaware. Sure enough, we looked, and there it was, perched and patiently tolerating our admiration. While it didn't make up for the lack of golden eagles at Sunrise, it was definitely a welcome sight. Once back at Hidden New Jersey headquarters, I checked into the history of the marker and discovered, for one thing, that the boundary it shows isn't quite accurate. We hadn't actually made it into Pennsylvania. Had we really stepped on the point where the three states meet, we would have been several feet to the west, wading in the waters of the Delaware. Eh, close enough. 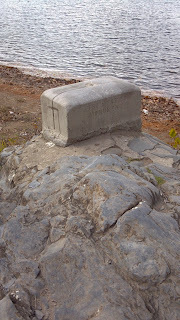 More interesting is the story why the boundary marker was placed in 1882. The original stones had been set in 1774, over a century after the Duke of York had granted New Jersey lands to Lord John Berkeley and Sir George Carteret. Many of those markers had disappeared over the years, prompting State Geologist George H. Cook to seek permission to resurvey the boundary in 1872. With the blessing of the state Geological Survey Board of Managers, he sent surveyors out to find the markers and map the true line described within the Berkeley/Carteret/York agreement. What they found was disturbing to any good Jerseyman or Jerseywoman. The straight, diagonal border line was, in fact, bowed slightly in New York's favor, presumably because the original surveyors' instruments were affected by the heavy iron ore content of the Sussex and Passaic Highlands. In all, New York was enjoying about 10 acres of what was supposed to be New Jersey. Cook dutifully recommended to the Survey Board and Governor Joel Parker, "Some joint action should be had... by which the line could be straightened, and made to accord with its original definitions and descriptions." It was time to bring in the lawyers. Prominent Newark attorney Thomas McCarter and former Attorney General Abraham Browning joined Cook as border commissioners for New Jersey; their New York counterparts included Congressman Elias Leavenworth, former State Senator Henry Pierson and New York Central Railroad counsel Chauncey Depew. 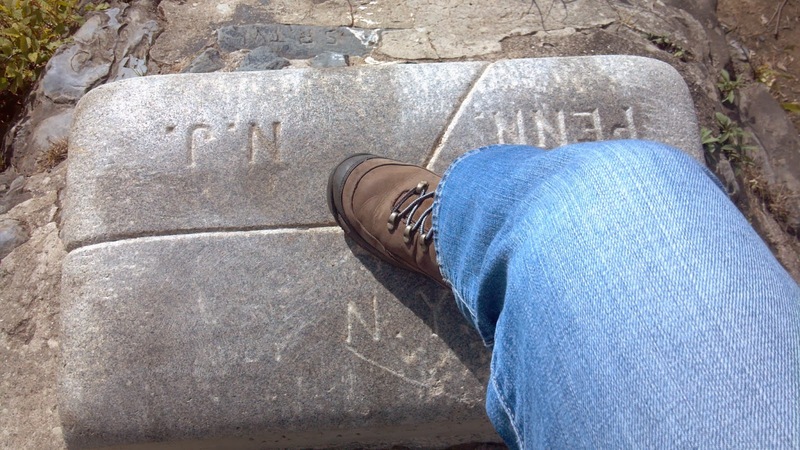 Though the New Jerseyans strongly recommended redrawing the line according to the Duke of York's original decree, New York balked, and the two states' legislatures agreed to maintain the 1774 boundary markers. 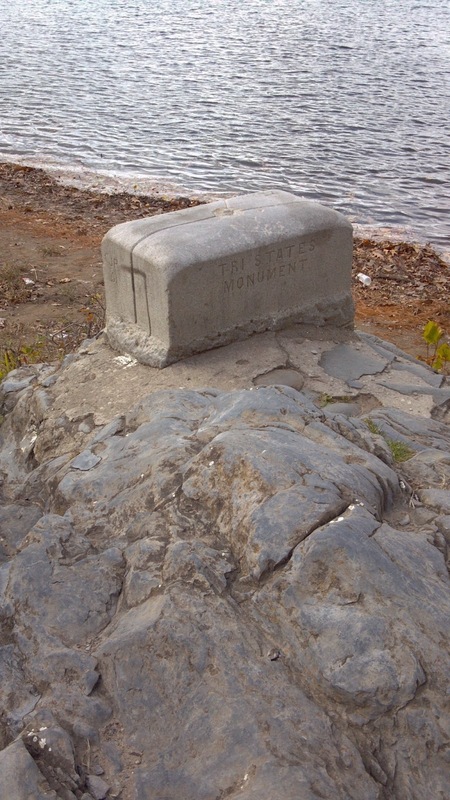 Accordingly, in 1882 terminal markers were placed at Port Jervis to the west and at the Palisades near the Hudson to the east, with additional markers placed at one mile intervals in between. One could say that New Jersey got more than its 10 acres back when about 24 acres of Ellis Island was deemed part of the Garden State in 1998, but there's still something vaguely dissatisfying about the whole thing. What do you say, folks? Wanna go for a land grab?